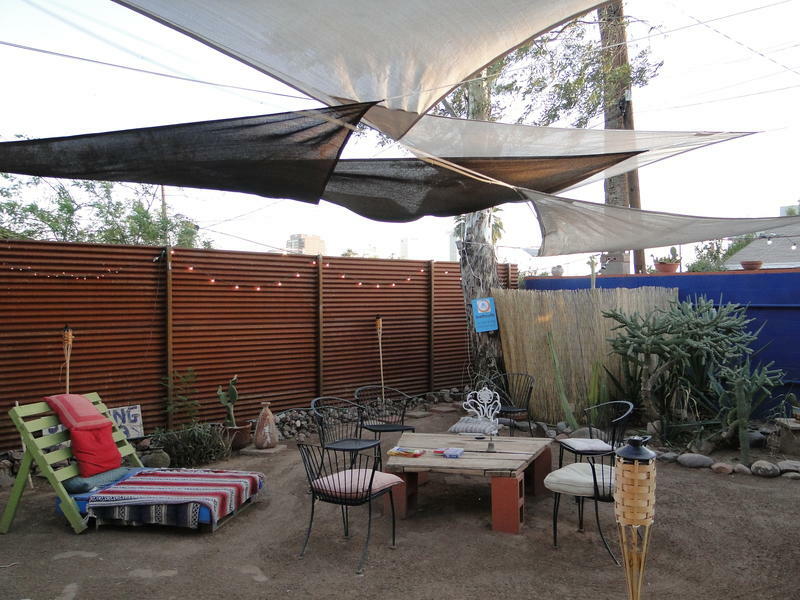 Welcome to Hosteling International Phoenix (Metcalf House) - the only HI hostel in Arizona and the best value for your travel needs. 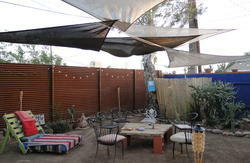 Located on the trendy Roosevelt Row arts district, in downtown Phoenix, HI-Phoenix is a unique blend of hostel and cultural center with art openings and events happening. The old brick house is alive with lush plants and cactus, meditative gardens, hammocks, rooftop patio for sunset viewing, artwork, and vibrant colors. Our friendly staff knows the 'off the beaten path' places in Phoenix and Arizona and can help you make your stay truly unique. Past guests include: Manu Chao, Ana Tijoux, Mike de la Rocha! Come see what this place is all about! Centrally located in downtown Phoenix with easy access to the airport, greyhound bus station, rental car hub, bike repair shops, freeways, and the lightrail system. 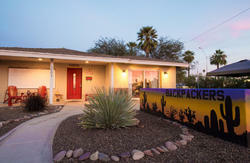 Within walking distance to the world famous Heard Museum, Phoenix Art Museum, sports stadiums, convention center, cinema, theatre, Arizona State University, and hundreds of art galleries. Our hostel is 5 minutes away from cafes, bars, restaurants, and grocery stores. We offer our guests the highest quality service, facilities, and cultural experience. You receive free breakfast, sheets, WiFi, and tours/events when available! We have bikes available for rent at low cost, discounted rates on Grand Canyon tours, rides available to the Flagstaff on the weekend, and tours around Phoenix happening throughout the week! Arizona is a unique place and HI-Phoenix is your gateway to an adventure you will never forget. You must produce a valid picture ID at check in. If you are arriving outside of these hours please contact us so that we can make special arrangements. A quarter of a mile to Roosevelt Street (first Light) Turn left. Cross 24th Street to the north east corner. Catch #70 Bus north to 24th & Roosevelt streets. Transfer to #10 Bus west to Roosevelt and 9th Street. We are 4 houses from the corner of 9th Street. Walk east on Roosevelt to 9th street or take the #10 bus. Take the Airport shuttle to the Car Rental Depot. When you leave the Car Rental Depot turn left onto Buckeye. At the traffic light turn right onto 16th street. Turn left onto Roosevelt Street ( About 2 miles).